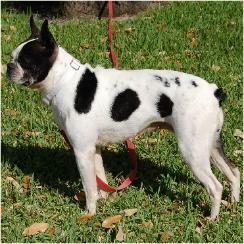 Lesson #8 will be based on the patternings and how white factoring and tricolor Boston Terriers result. all). The splash pattern is a able to be seen at birth. 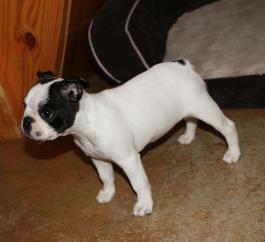 suggest that the LP is found to be longer in breeds with white markings than in dogs with no white." (Schmutz) With that a test is now available for white factoring or the spotting gene. white on their rear legs. 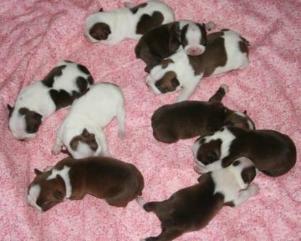 chances of producing them within a litter are very small. 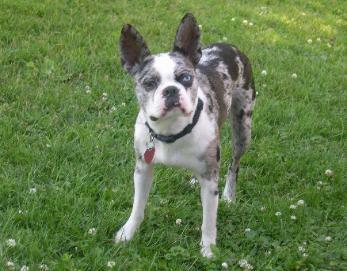 Boston Terriers suggests that they were not born tricolor, but developed the points at an older age. 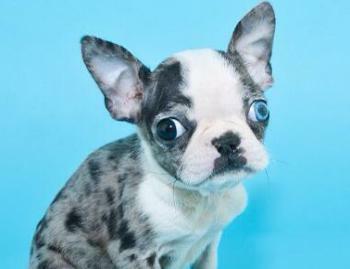 however, any color Boston Terrier of any pattern can have this. 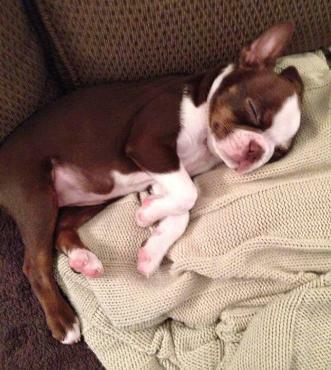 applies to all purebred coat colors known to be within the genetics of the Boston Terrier. 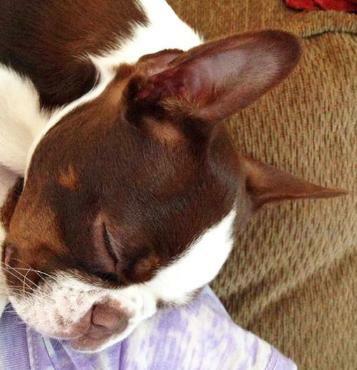 Special thanks to our friends at Cherry Run Boston Babies for letting us use the images of her chocolate tri "Rayna". 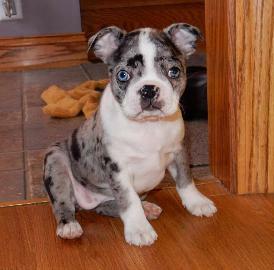 breeds this color does not exist unless the dog is a mixbreed. 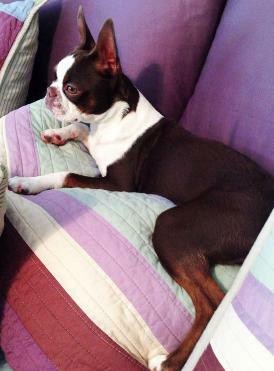 MERLE BOSTON TERRIERS OF PURITY DO NOT EXIST. in because you selfishly put your value for coat coloration over your value for health? Don't be a fool. Cypress Farm Kennel does NOT raise merle mixbreeds. These are photos found on a GOOGLE search.